Vakantiepark Mölke in Zuna - the best offers! 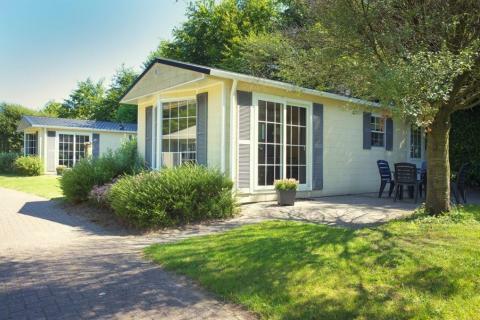 Vakantiepark Molke combines the friendliness and familiarity of a small park with professionalism and child-friendly facilities for a complete holiday experience. This price applies to 2-person cottage Lodgehome, with the arrival as 22 April 2019, 2 Nights. This price applies to 4-person cottage (max. 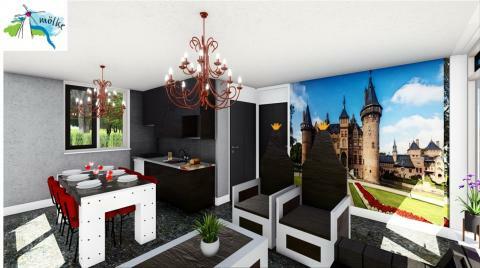 2 adults) Glamplodge, with the arrival as 6 May 2019, 2 Nights. 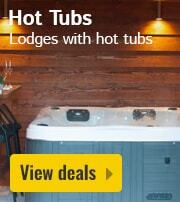 This price applies to 4-person cottage (max. 2 adults) Regge Cottage, with the arrival as 6 May 2019, 2 Nights. This price applies to 5-person cottage Bungalette Veranda, with the arrival as 6 May 2019, 2 Nights. This price applies to 5-person cottage Reggehooiberg Luxe, with the arrival as 6 May 2019, 2 Nights. This price applies to 5-person cottage Baby & Kids Boerderij, with the arrival as 6 May 2019, 2 Nights. This price applies to 6-person cottage Kids Boerderij, with the arrival as 6 May 2019, 2 Nights. 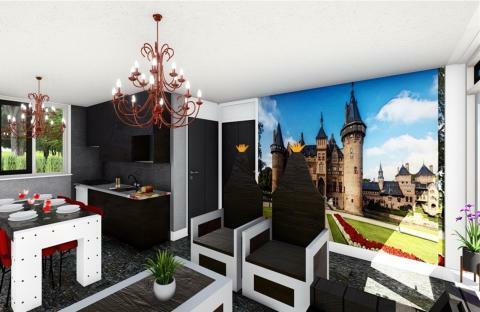 This price applies to 6-person cottage Kids Kasteel, with the arrival as 6 May 2019, 2 Nights. 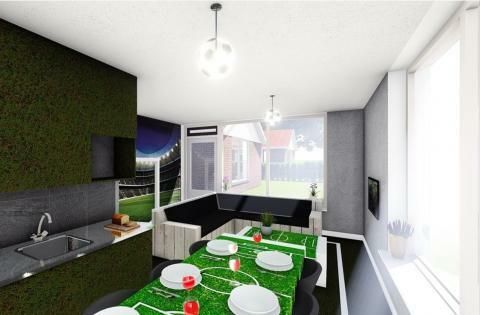 This price applies to 6-person cottage Kids Voetbal, with the arrival as 13 May 2019, 2 Nights. 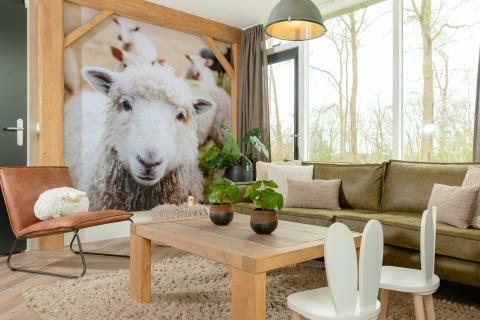 This price applies to 5-person cottage Baby & Kids Kasteel, with the arrival as 6 May 2019, 2 Nights. 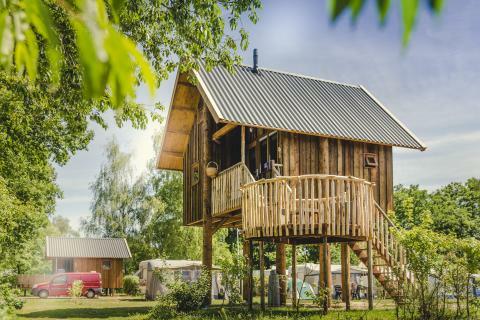 This price applies to 5-person cottage Boomhut, with the arrival as 20 May 2019, 2 Nights. This price applies to 4-person cottage River Cabin, with the arrival as 27 May 2019, 2 Nights. This price applies to 8-person holiday house Luxe Vakantieboerderij, with the arrival as 6 May 2019, 2 Nights. This price applies to 6-person holiday house Nostalgische Vakantieboerderij, with the arrival as 6 May 2019, 2 Nights. 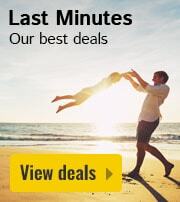 This price applies to 4-person mobile home/caravan, with the arrival as 22 April 2019, 2 Nights. 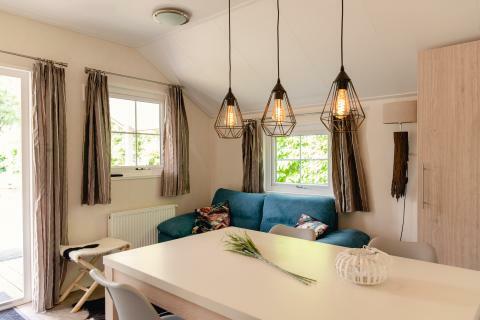 This price applies to 4-person mobile home/caravan Scandinavische Lodge, with the arrival as 3 June 2019, 2 Nights. 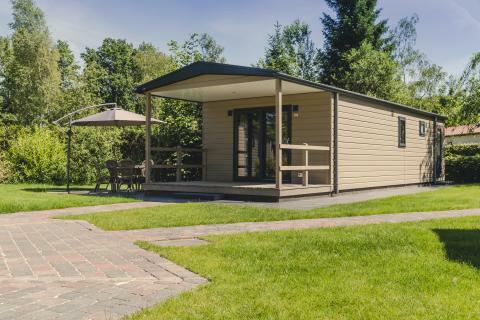 This price applies to 4-person mobile home/caravan Bungalette Basis, with the arrival as 6 May 2019, 2 Nights. 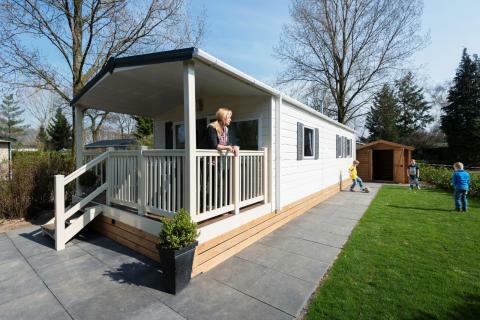 This price applies to 4-person mobile home/caravan Bungalette Comfort, with the arrival as 22 April 2019, 2 Nights. This price applies to 6-person mobile home/caravan, with the arrival as 22 April 2019, 2 Nights. This price applies to 4-person mobile home/caravan Woodlodge, with the arrival as 6 May 2019, 2 Nights. This price applies to 6-person mobile home/caravan Veranda, with the arrival as 6 May 2019, 2 Nights. 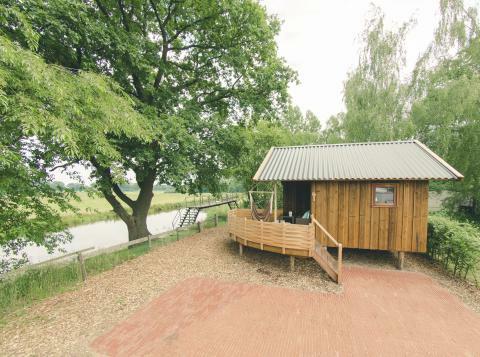 This price applies to 6-person mobile home/caravan Bungalette Comfort, with the arrival as 6 May 2019, 2 Nights. 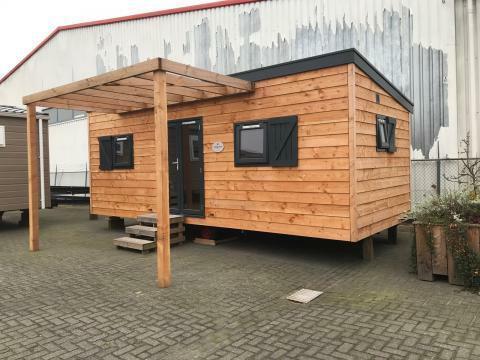 This price applies to 6-person mobile home/caravan Reggechalet Miva, with the arrival as 6 May 2019, 2 Nights. 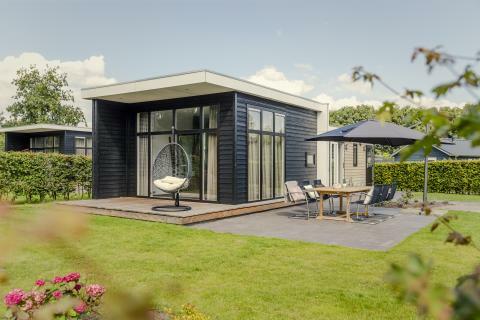 This price applies to 6-person mobile home/caravan Bungalette Luxe, with the arrival as 6 May 2019, 2 Nights. This price applies to 6-person mobile home/caravan River Cabin, with the arrival as 27 May 2019, 2 Nights. 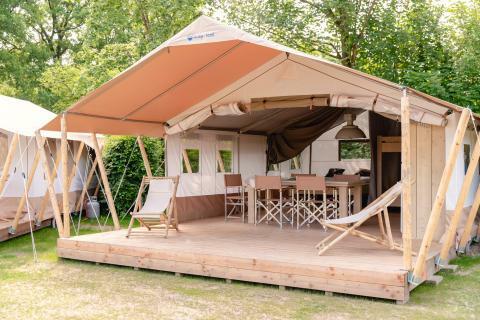 This price applies to 5-person tent Safaritent, with the arrival as 22 April 2019, 2 Nights. This price applies to 14-person group accommodation Luxe, with the arrival as 6 May 2019, 2 Nights. 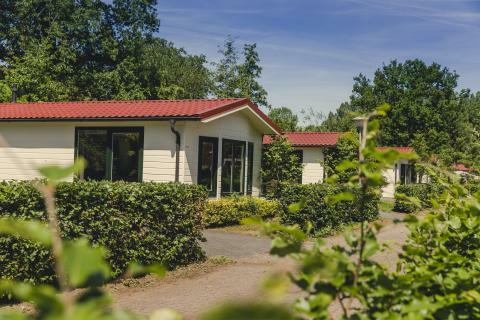 Vakantiepark Molke combines the friendliness and familiarity of a small park with professionalism and child-friendly facilities for a complete holiday experience. Vakantiepark Molke is located in a rural hamlet called Zuna, a fifteen minute bike ride from the Sallandse Heuvelrug National Park. This national park is comprised of large Heathlands, rolling hills and diverse flora and fauna. Sports enthusiasts can rent a three-person canoe, a mountain bike or a regular bike. There are also various sports fields at the park. At Vakantiepark Molke, children can indulge in the unique indoor playground Okidoki, a large room with many apparatus and playing equipment! At the terrace next door, you can enjoy a cup of coffee or an evening meal with the whole family. The children can also enjoy themselves in the indoor pool (12x8m) with a separate pool for toddlers. 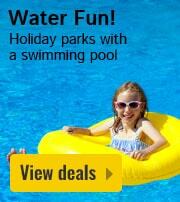 There’s also a trampoline, and entertainment programmes during the summer holidays. During your holiday in Zuna, enjoy an excellent family restaurant with creative dishes. If the weather is nice, you can be served outside. In the kitchen, where the creative chef holds sway, delicious snacks and meals are prepared. The enthusiastic service staff will make you feel comfortable and at home. 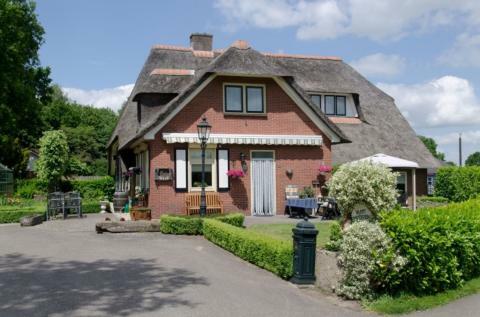 Vakantiepark Molke is located in the hamlet Zuna on the River Regge. From the park, you can rent a rowing boat and take a trip along the Regge, spotting beautiful kingfishers along the way. If you cycle for 15 minutes, you’ll be at the Sallandse Heuvelrug National Park. This park is famous for its varied flora and fauna and stunning scenery. Rent a bike and explore the rolling green hills, the vast moors, and the abundance of cranberry bushes. There are several attractions in the area such as Avonturenpark Hellendoorn, a fantastic adventure park with over 30 rides, attractions and shows. 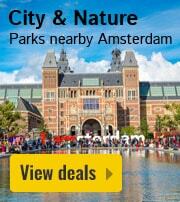 You can also take the canal boat from the park to a delicious organic farm. Germany is also only 40 minutes away! 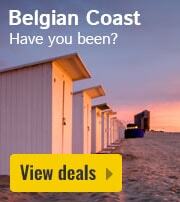 The cost of any preferences or requests is €13.50 per accommodation. You will find the costs on the invoice of the park. 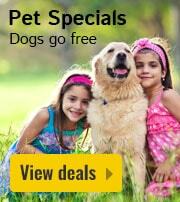 Pets are always on request. Please make this request clearly when booking, and the park will take it into request. If the park approves your request, you will be charged €2.50 per night, per pet, and an additional cleaning charge of €20 per accommodation. When your check out day is on a Sunday, you can choose to check out until 17:00 PM. Please notify the reception if you wish to have a late check-out. Guests of the 5-person tent Safaritent can use the sanitary building free of charge. Please note: if you want a childrens bed in the 5-person cottage Bungalette Veranda, you must take into account that a mattress is taken out of one of the beds and the cot is placed on the slatted base.